Chiocchetti, Paolo (2017). 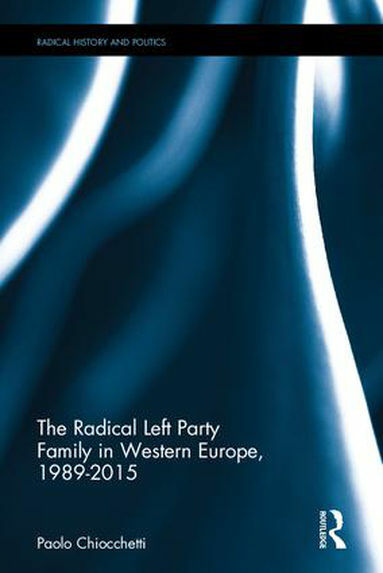 The radical left party family in Western Europe, 1989-2015. Abingdon: Routledge. ISBN:978-1-13865618-5. 3. Moschonas, Gerassimos (2017). European Social Democracy, Communism, and the Erfurtian Model. In: William Outhwaite and Stephen Turner (eds). The SAGE handbook of sociology. Thousand Oaks: SAGE. 4. Jesse, Eckhard and Tom Mannewitz (eds) (2018). Extremismusforschung: Handbuch für Wissenschaft und Praxis. Baden-Baden: Nomos, 53 and 295. 5. Ferreira, Maria and Pedro Fonseca (2018). Demolishing Portugal’s “Berlin Wall”: The Portuguese Left Against Austerity Policies. In: Isabel David (ed), Crisis, Austerity, and Transformation; How Disciplinary Neoliberalism Is Changing Portugal. Lanham, Rowman & Littlefield Publishers, 135. 6. Baier, Walter (2018). The memory and identity of the Western European Left in the light of European Integration. In: Agnieszka Mrozik and Stanislav Holubec (eds). Historical Memory of Central and East European Communism. New York: Routledge, 94 and 95. Previews of the content are available on Book2look and GoogleBooks. The full book is available in hard or electronic copies in more than 110 university libraries worldwide. You can find an incomplete list on the Karlsruhe Virtual Catalog. You can order a hard copy from Routledge. Make sure to enter the code FLR40 at checkout for a 20% discount (£72.00 instead of £90.00). A more affordable eBook can be ordered on Amazon (Kindle edition, £34.99) or iTunes (ePub).